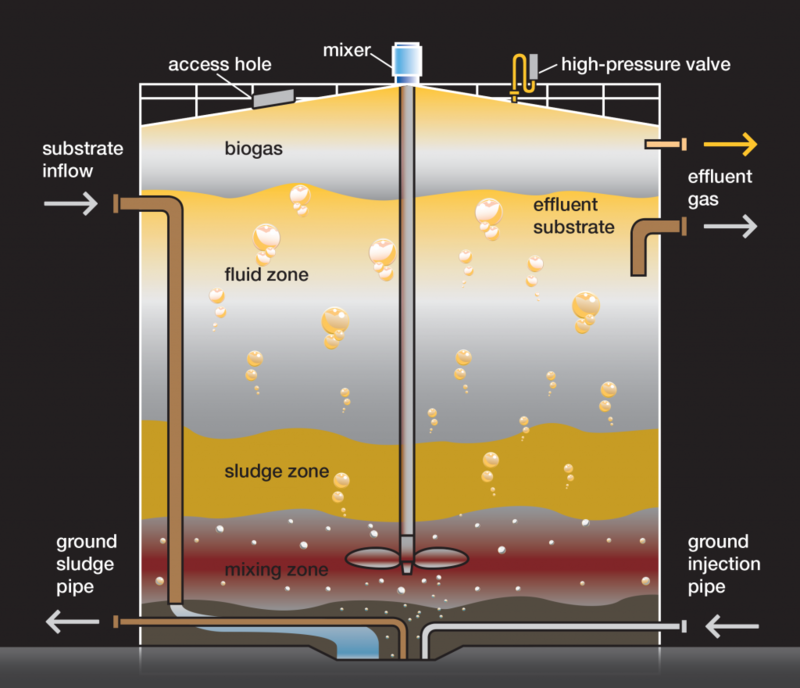 Improve methane production and reduce sludge. 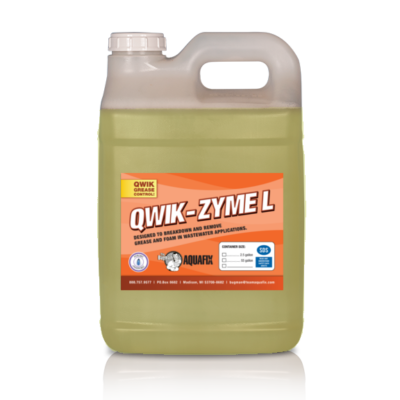 Give your methanogens the tools they need to start performing at peak levels. Methane-producing bacteria require trace metals to thrive. Supplementing these metals can help prevent anaerobic systems from going vile and produce large amounts of acid and foam. With a thriving methanogen population methane production increases, it’s easier to hold pH, and organics digestion accelerates resulting in less sludge to dispose of. 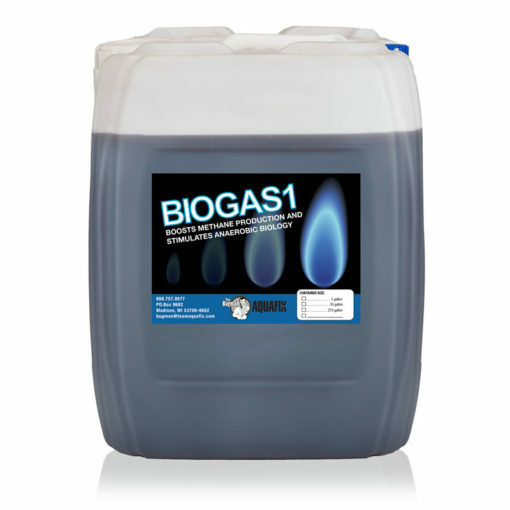 Our advanced formula of BioGas1 provides bioavailable cobalt, nickel and iron. There are a lot of myths about what metals and nutrients are helpful for a digester. We have found these three elements to be the most helpful, and formulated them to be 100% bioavailable so nothing is wasted. *55 gallons available at $17.40 per gallon, please call to order 888-757-9577. Methane production is both important for biogas and digester health. When methanogens don’t receive adequate food, the result is an overabundance of acid in the digester and a sharp drop in methane production. Trace elements like cobalt, nickel, and iron are an essential component to the output of methanogenic bacteria. These bacteria need a steady supply of trace elements to form the biocatalysts necessary for methane production. Aquafix has developed a form of these crucial metals that is 100% bioavailable, which means the metals have been formulated to be completely absorbed by the bacterial cells. Putting in simple or commodity-based forms of these metals will not have any effect, as they are not taken up or used by the biology. Note: Feed all at once, do not gradually feed. Challenge: A corn processing plant in Illinois lost methane production from their 500,000 gallon mesophilic anaerobic digester. As production increased, their methanogens couldn’t keep up. This caused COD levels as well as fats, oils and grease to rise in the supernate. This also contributed to upsets in the adjacent aeration process. 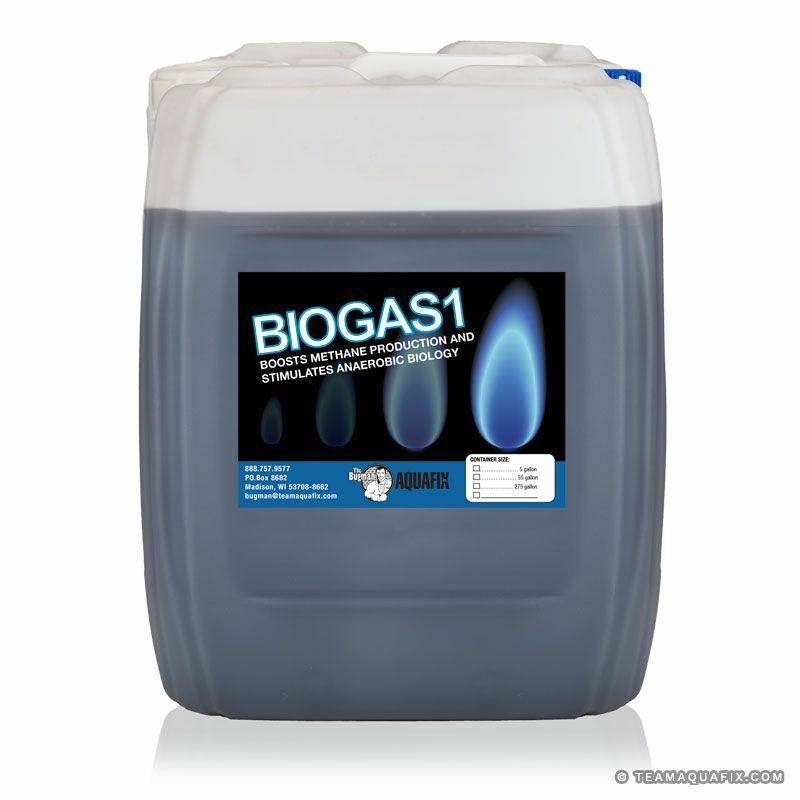 Solution: They initially added 5 gallons of Aquafix’s BioGas1 to jump start. Then dropped to 1 quart per day there on after. Results: Within two weeks their digester produced a yellow flame, and in another two weeks it was back to a healthy blue with lower outgoing COD and FOG. The methane production rose and contaminant levels decrease, leaving the plant fully functional. Challenge: A municipal wastewater treatment plant in Kansas called with an anaerobic digester overflowing with foam. This digester has produced minimal methane for over two years, and within a week of the foaming issue, lost all methane production. Solution: The plant first sent Aquafix a samples of the foam and mixed liquor, where our labs identified the disruptive filaments. The plant then added our Foam Buster at the aeration basin along with BioGas1 in the anaerobic digester. Results: Within two weeks the digester stopped foaming and started producing the best methane it ever has.